The older command is R CMD BATCH. A better way to run R scripts in batch mode is Rscript, and its comes with R.
See the example below to see the difference between using RScript and R CMD BATCH. You can call these directly from the command line or integrate them into a bash script. You can also call these from any job scheduler. Note, these are R related tools. The RStudio IDE does not currently come with tools that enhance or manage the RScript and R CMD BATCH functions. However, there is a shell built into the IDE and you could conceivably call these commands from there. The alternative to the using the Linux command line is to use the source() function inside of R. The source function will also call a script, but you have to be inside an R session to use it. 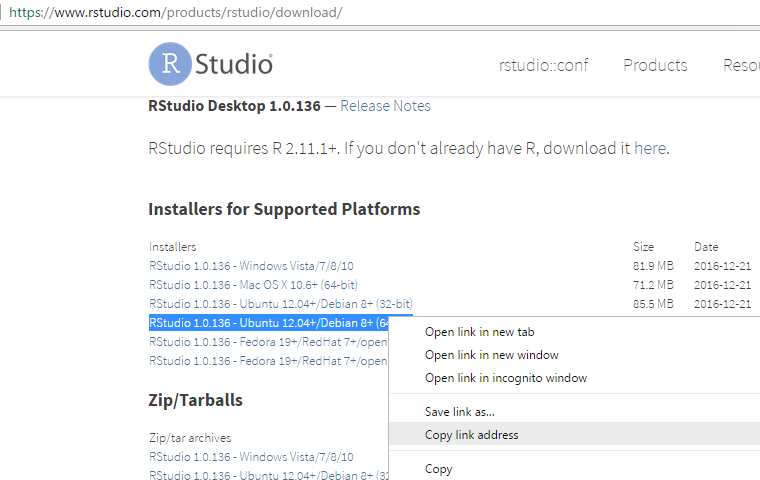 This post provides instructions for installing R-Base and RStudio on Ubuntu 16.04. You can find R-Base in the Software Center; this would be the easy way to do it. However, the Software Center versions are often out of date, which can be a pain moving foward when your packages are based on the most current version of R Base. The easy fix is to download and install R Base directly from the Cran servers. First, we’ve got to add a line to our /etc/apt/sources.list file. This can be accomplished with the following. Note the “xenial” in the line, indicating Ubuntu 16.04. If you have a different version, just change that. If you would like to use R in IDE like RStudio, See below for the instructions.